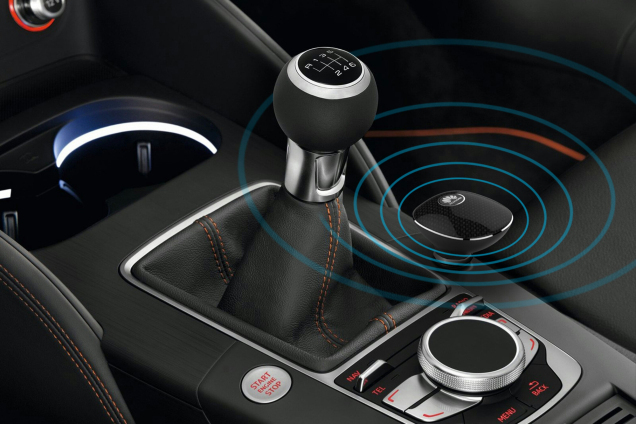 Penetration of WiFi in vehicle infotainment system is set to become an important trend. 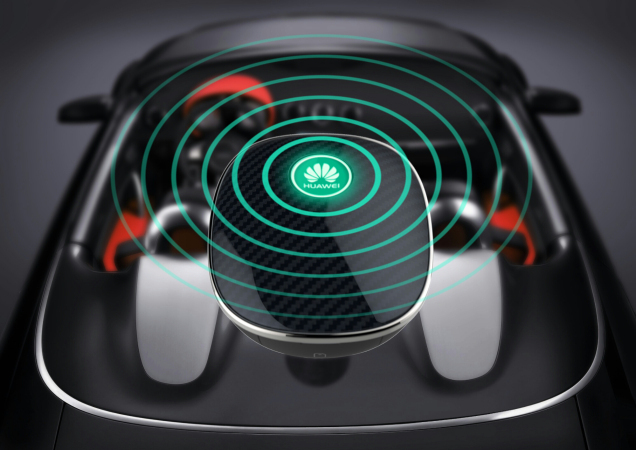 To address this trend and tap the large potentials and opportunities, the company Huawei has cooperated with France network provider Orange to provide a wireless solution for vehicle passengers to connect 4G networks when moving. The device is named Huawei CarFi E8377 and is designed to cover up to 10 users. The Huawei CarFi E8377 device, in compact size, gets 12 volt power from vehicle, which is designed specifically for use in these environments, either for personal use or for family members to provide connectivity while traveling, or for fleets of taxis and passenger vehicles. Huawei emphasize that the essence of CARFI is the simplicity of use, because once connected to power in the vehicle, user just need press the single button for ignition and commissioning. The CarFi E8377 has a card slot to insert the SIM card from operator. User can download the appropriate application for iOS and Android to manage the device, so you can modify the parameters of the wireless network name SSID and security key. Those who do not want to be complicate have these screen printed data on-device so that they can implement it without having to install any application. However, the application allows user to know the devices are connected, consumption data and other set of interesting parameters. The Huawei CARFI ensures LTE Category 4 connectivity with speeds up to 150 Mbps in the best conditions. Huawei CarFi will automatically turn off when no WiFi-compatible device is identified, and can still be used to charge other electronic devices even when turned off as long as car is in use. Huawei CarFi does not contain a battery which provides protection against overheating in hot climates, and has a built-in self-regulating temperature protection function that automatically lowers the temperature of the device when necessary. Michael Faure, director of residential mobile marketing for Orange Spain stated that it is an interesting product because more than 90 percent of tablets sold are sold with Wifi connectivity mode without 4G options. So Huawei CarFi would provide reliable wireless support for these tablets. And for more vehicles, the wireless network may be a perfect solution for the passengers, Huawei E8377 carFi is slim and easily meet the network requirement. And the USB port in the Huawei E8377 would provide the channel to charge other electronics such as smartphone, tablets. With an elegant and refined look, Huawei CarFi features detailed craftsmanship incorporating superior-grade wood and carbon fiber materials for increased durability during everyday use. It comes in three color variations, fashion elite black and warm family wood, and dynamic speed red, to complement the interior of most vehicles. It’s a perfect solution for vehicle!